Leaves are falling and the weather is cooling - Fall is here! It's a great reason to offer you five great indie games in the Fall Bundle from Indie Royale! This compelling bundle is led by hit RPG To the Moon, along with the graphically gorgeous Oil Rush and critically acclaimed adventure Blackwell Deception, not to mention other great titles too! With deals like this, who cares if it's getting dark earlier, since that's even more reason to stay inside and play these great indie games! The first game up in this seasonal bundle is RPG/sci-fi adventure game from Freebird Games To the Moon available for Windows on Steam, Desura and DRM-Free. Awarded with the "Best Story" award in GameSpot's 2011 Game of the Year awards, this is a game you can't miss! Created using the RPG Maker engine, To the Moon closely resembles an old-school Japanese RPG in its presentation and offers a uniquely beautiful soundtrack that helps contribute to the story-line. Play doctors from the future, Eva Rosalene and Neil Watts, who have been tasked with fulfilling their clients' life-long wishes using a technology that creates artificial memories, enabling them to die at peace. Eva and Neil have been hired by Johnny Wyles who has an unfulfilled desire to go to the moon. This title differs from traditional adventure games in that it features light puzzles and arcade sequences and focuses on a moving and quite compelling tale. Adventure Gamers celebrates To the Moon for offering "(a)n incredibly moving narrative with a unique premise, sympathetic characters, and a powerful climax." Next up is Oil Rush from Unigine available for Windows, Mac and Linux on Steam, Desura and DRM-Free (also includes OST and Tower Defense Map DLC for Desura and DRM-free only!) This game offers the strategic challenge of a classic RTS with the sheer fun of Tower Defense, alongside a gorgeous custom game engine. It's set in a post-apocalyptic world that's completely covered by water, where the limited oil that's left on the Earth is fiercely sought after by the remaining factions of humans who have survived. Play a young commander who is tasked leading an aquatic army to conquer bases to acquire oil, units and defenses by carefully allocating your troops to attack your strongest enemies while defending the platforms you've conquered. Destructoid says "Oil Rush isn't just a joy to behold in action, but manages to make an old genre feel fresh while looking the part." Also featured is adventure game from Wadjet Eye Games, Blackwell Deception, available for Windows on Steam, Desura and DRM-Free. In the fourth game in the hit series, following the Blackwell Trilogy previously featured in an earlier Indie Royale bundle, play medium Rosangela Blackwell (Rosa) and Joey, a ghostly spirit from the early twentieth century who follows Rosa around and is based on her familial heritage. Rosa has turned her abilities into a job, investigating supernatural incidents while working with Joey who has been entrapped in an afterlife of helping spirits move onto the next world. While part of the Blackwell series, Blackwell Deception plays well as a standalone game offering excellent voice acting, witty dialogue and interesting characters. According to Rock Paper Shotgun, "The Blackwell Deception is hands-down [Wadjet Eye's] best adventure yet, and one of my favourites in a very long time." 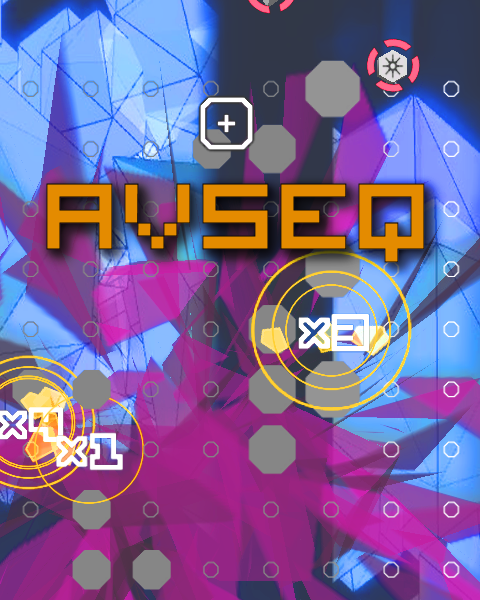 Included in this Fall Bundle is a unique audio-visual sequencer that takes the structure of a color-matching puzzler - AVSEQ from Big Robot, available for Windows and Mac on Steam, Desura and DRM-Free. Separated into 9 standalone sequences, this game offers a musical tapestry and trippy visuals. The goal is to trigger a set number of notes before time runs out by matching colors and over time building a song. According to GameSpot, AVSEQ offers a "[l]ovely mixture of challenging gameplay and ambient music." Last up is Populous-inspired world-shifter Reprisal from Reprisaluniverse - available for Windows, Mac and Linux on Desura and DRM-Free. This RTS is based on playing god and ultimately conquering the most land. Enjoy many enticing special powers (fire towers, lightning strikes and swamps) only to be torn apart when multiple tribes take over your lands; your goal is to build up your previous glory by fighting back. As you conquer lands, your people will rebuild. Rock Paper Shotgun applauds Reprisal: "It’s quick and simple, yet impressively deep once you get into the thick of things." And those who pay $8 USD or their currency equivalent during the Fall Bundle will get a great fantasy electro 8-bit album from Makeup and Vanity Set: '88:88', a $9 value on its own. All songs in this album are inspired by the short film 88:88 directed by Joey Ciccoline. Steven Cornfield of These Old Colors celebrates this album saying: "(the) arpeggiation of the bleeps and the growling bass and the four on the floor in the background like in 'System Override' makes me want to do something creative." You can find more information on the Fall Bundle, including real-time statistics and its current price, on its official website or via its Facebook and Twitter pages. And remember, you'll want to get in early while the prices are still low (unless kind purchasers lower the price) so you can get in on this Fall Bundle before it's gone!